Bowie County, Texas – On the evening of January 4, 2017 a search was conducted of the parking lot in front of the Bowie County Annex Jail where the correctional officers employed at this facility normally park their vehicles while they are at work. 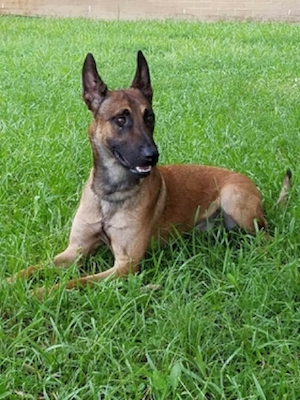 This search was accomplished through the use of the Bowie County Sheriff’s Office newest canine Deputy Lennox who was purchased with funds donated by The Arklatex 100 Club. During this search, Lennox alerted on vehicles belonging to Gresheka Shana Merritt and Shanice Yvonne Poindexter. Gresheka Merritt was found to be visiting an inmate at the jail and Shanice Poindexter was found to be an employee of the jail. Both of these individuals consented to a search of their vehicles. Deputies found marijuana in both Merritt’s and Poindexter’s vehicles. They were both subsequently arrested for Possession of Marijuana Under Two Ounces and taken to the Bi-State Jail. The following morning Judge Nancy Talley set both of their bonds at $3000.00 apiece. Four States News notes that the ArkLaTex 100 Club is a 501 (C) 3 organization supporting fire fighters and law enforcement in Bowie and Miller County. They can be reached through their website at ArkLaTex 100 Club .